Lagos State Governor, Akinwunmi Ambode on Sunday ordered the Lagos State Traffic Management Authority (LASTMA) and all the relevant security agencies to henceforth strictly enforce the provisions of the state traffic laws to bring about sanity on the roads. The Governor also ordered the State Attorney General and the Ministry of Justice to immediately increase the number of Mobile Courts in the State to twenty to summarily prosecute traffic offenders to serve as a deterrent to others who might want to indulge in the violation of traffic laws. 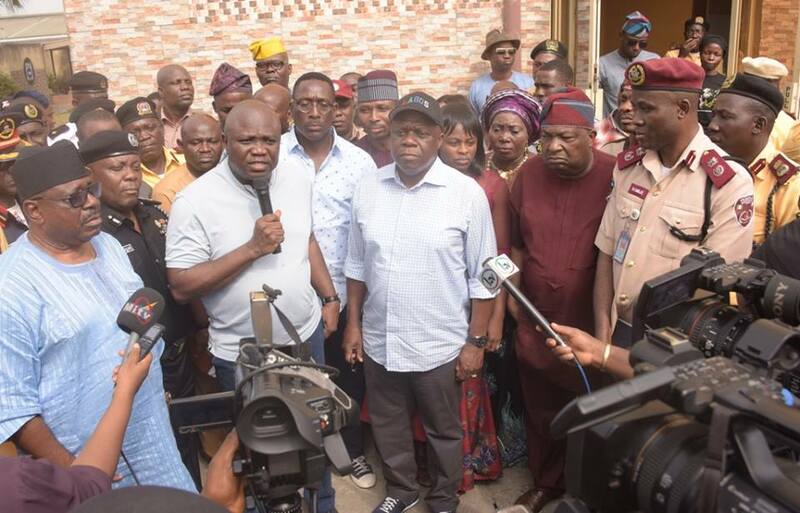 Ambode was speaking to reporters after a strategic session with LASTMA leadership and heads of other security agencies in the state to address the traffic situation and the unfortunate killing of a LASTMA officer last week. Governor Ambode said the state government will not fold its arms and allow the violation of the laws, hence the decision to order enforcement of the laws with immediate effect. “For Lagosians, it is very clear that the government will not continue to fold their arms and allow our officers to continue to be in areas of danger. First, I will appeal to all of you that we must obey traffic laws. Secondly, we cannot turn this state into a state of lawlessness. So, from this moment onward, all our security agencies and also all the officers that are concerned have been directed to discipline any traffic offender that is arrested. “Government will go down and deal squarely with any traffic offender from this moment onward. We cannot allow people to continue to commit offences for which we need to discipline for. We don’t want people to take advantage and say this is Christmas or election period, we have the majority of our people to protect and we have the majority of our people to also make sure that they use the roads safely. So, we will not allow traffic offenders to go scot-free anymore,” Governor Ambode said. The Governor added that aside from the Mobile Courts, Police officers have also been increased to patrol the nooks and crannies of the State to ensure security and free-flow of traffic. While commiserating with LASTMA over the killing of one of its officers, Rotimi Adeyemo, Governor Ambode said the incident was one too many, revealing that a total of eighteen officers were lost to such unfortunate situation, and twenty-four permanently incapacitated in various hospitals in the last one year. Adeyemo was shot by a SARS officer Olukunle Olonade following an argument. The argument had begun after Olonade drove against traffic and Adeyemo confronted him. A short while after, Olonade proceeded to his car where from he fetched his gun and shot Adeyemo to death.